Mercedes arrived at the historic Suzuka Circuit in a position of power over Ferrari, which has seen the championship hopes of lead driver Sebastian Vettel flounder since the midseason break and which badly needs a win to suspend its rapidly declining form. 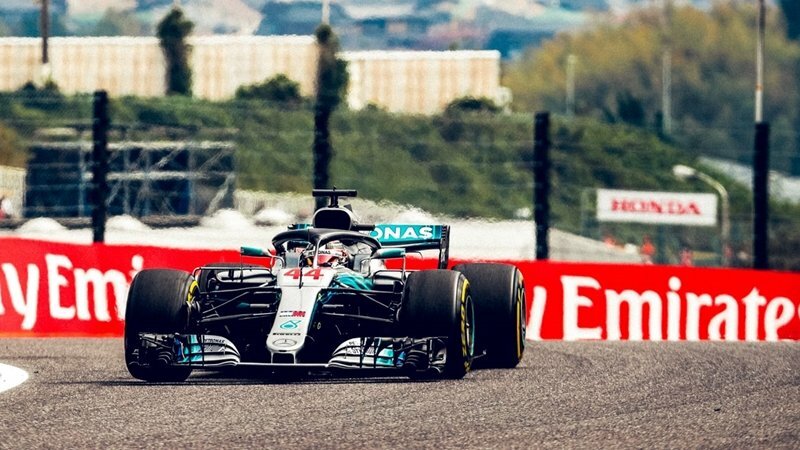 But based on today’s practice times Japan is unlikely to be the scene of the Italian team’s first step towards what would now be an unprecedented championship fightback, with Hamilton in a seemingly unbeatable groove around the swooping Suzuka curves. But whereas the picture at the front of the field appears bleak, the midfield looks colourful and closely contested, with four different teams completing the top 10 at the end of today. Renault’s Nico Hulkenberg finished the day in 12th after lamenting yesterday (Oct 4) that his team had fallen behind in the development race after finishing out of the points in Russia last weekend, and his practice times suggest the French marque is set for another difficult weekend. Don’t forget to listen to Live89.5 each and every Saturday at 9am and 5pm for te Box of Neutrals radio show.